The Sutjeska National Park is Bosnia and Herzegovina’s oldest national park. The park is also famous as being the location of the Battle of the Sutjeska in 1943 during World War II and a home to Perućica, an primeval forest, one of the last two remaining ancient forests in Europe. National park Sutjeska is one of the oldest and largest parks in Bosnia and Herzegovina. Various wild natural shapes of landscapes will amaze your soul and make you want to stay there forever.Numerous walking paths through the thick wood, fresh air of the river valley, admirable beauty of the lakes and historical monuments are only part of the rich touristic offer. Perućica forest reserve, located within the national park, was established in 1952, as “Natural reserve for scientific and educational purposes”. Perućica, which is one of the last two remaining primeval forests in Europe, is one of the five Strict Nature Reserves in Bosnia and Herzegovina. The forest has trees that are 300 years old, and the primeval forest’s vintage is stated to be 20,000 years. In some stretches the forest growth is almost impregnable. 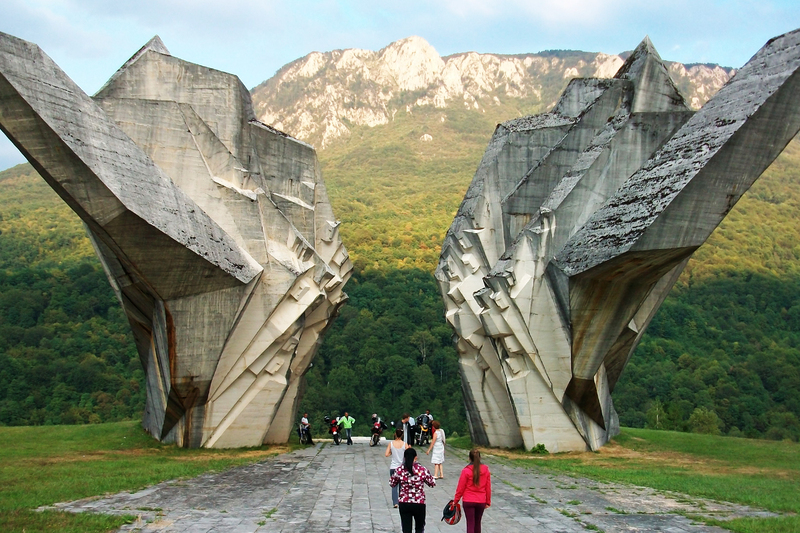 The park is also famous as being the location of the Battle of the Sutjeska which lasted from 15 May to 16 June 1943 during World War II, where the Partisan were victorious over the German occupying forces in a battle. The Partisans were led by the Supreme Headquarters of Yugoslavia by Marshal Josip Broz Tito who foiled the enemy’s plans. Partisans were successful in breaking out of the encirclement even though they lost one third of their men. Several large Partisan’s Memorial stone monuments commemorate this event at the northern edge of the park at on the way to primeval Perucica forest reserve. Book this tour with just a few clicks on the link below. Be amazed with green colored nature of Sutjeska national park and its biodiversity. Relax your soul and fill your spirit with the surrounding nature. Visit Tjentiste memoral park and learn more about its history. Tjentiste is a place of WW2 famous battle, where Yugoslavia Partisans won a important victory over the occupying Nazi Germany. 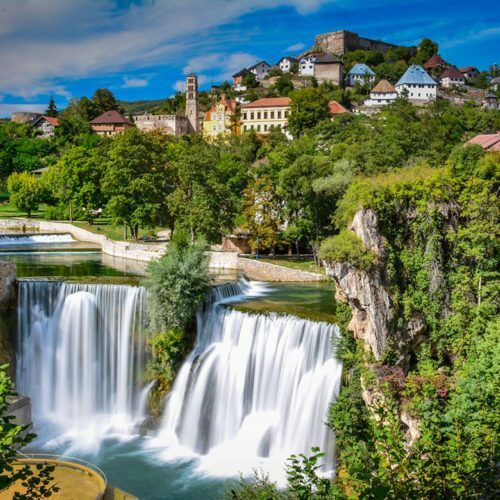 Enjoy a comfortable ride to Sarajevo and learn more about the region from our guide.